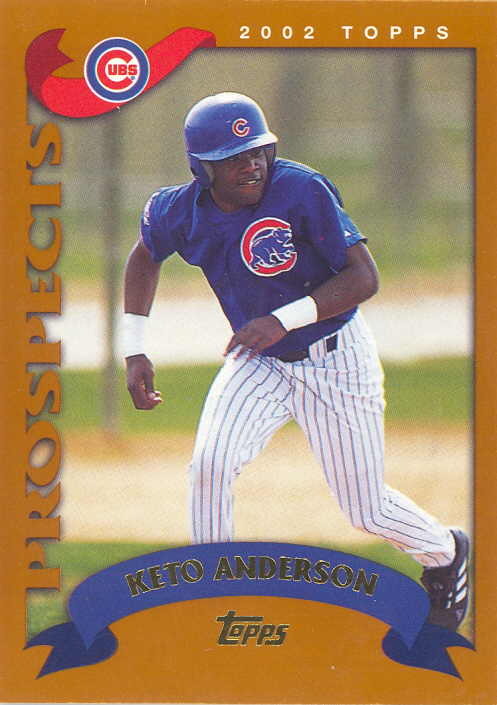 This prospect card is from 2002 Topps Update and it features Keto Anderson. By the time this card came out, Keto had made four stops in the Cubs chain and hit better than .300 at most. But he was traded to the Padres during spring training, 2002 (so why is he with the Cubs in the Update set???). He hit .281 in A that season, but was released by the Padres. He spent the next four year in independent ball. His professional career average is .308. There aren't many guys that have a eight year career, never got above A, yet had a career average over .300. Makes you wonder what happened. Chance are you've never heard of Keto Anderson. I know he was unknown to me. But I do know his diet. Well, not his diet, but the Keto diet. Mrs. WW and I heard about the Keto diet from her bother and his wife. They were having a lot of success with it. We both knew we needed to do something. Though we biked a lot, we were big, too big. We had that conversation one year ago toady. The next day we started the Keto diet. It was goodbye carbs and sugar and hello fats. 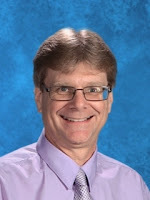 BIg Macs and Whoppers, Peanut butter and jelly sandwiches, Oreo Cookies.... all were out. Instead, I've had a lot of steak and salad over the past year. Mrs. WW has also found lots of good recipes for Keto meals. And it has worked. I've lost a little more than 60 pounds and she's dropped better than 50. It's crazy to think that 110 pounds of us are gone. But we both feel better and biking is much easier with that much mass missing. You know that I'm kinda organized with my card collection. I'm the same way with my diet. 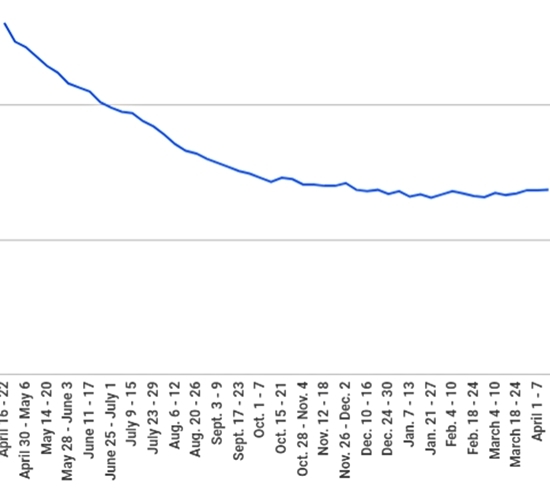 I've kept a spreadsheet with my daily weight and here's a line graph of my loss over the past year. It was a pretty stead drop through November when I reached my goal. Since then I've been within a pound or two of that goal..... and I'm planning to stay there for a long time to come! I'm both embarrassed and proud to show these two pictures. Embarrassed that I got that big, but proud that I was able to do something about it. 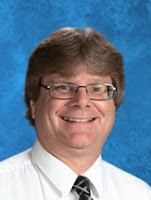 The pictures are my school pictures from 2017 and 2018 (I had lost 55 pounds when it was taken). I know that there is controversy out there about the Keto diet - it is healthy long term, is it sustainable? I'm not worried about that right now. Not all diets work for everyone. But this certainly worked for us. It was a complete lifestyle and diet change and its required plenty of tenacity to stick with it. We have, and the pictures show the results. Congratulations! I think what you say at the end about it working for you is key. Most diet books seem to have something to the effect of “all those diet books out there failed...but this is different! That sounds like hype, but I think for many books that really is true for some people. Everyone’s body is different, everyone’s mindset is different, so everyone’s path to success is different. So glad you found one that worked for you. Awesome and congrats to you and Mrs. WW! Congratulations to you and your wife! That's awesome! How Many Different Ticket Options?? I am a life-long Cubs fan currently in exile in southern Michigan. I have been collecting baseball cards since the fateful Cubs year of 1969. I took a 15 year break from the hobby and returned in 2008. Padres and Toreros and Cubs, Oh My!